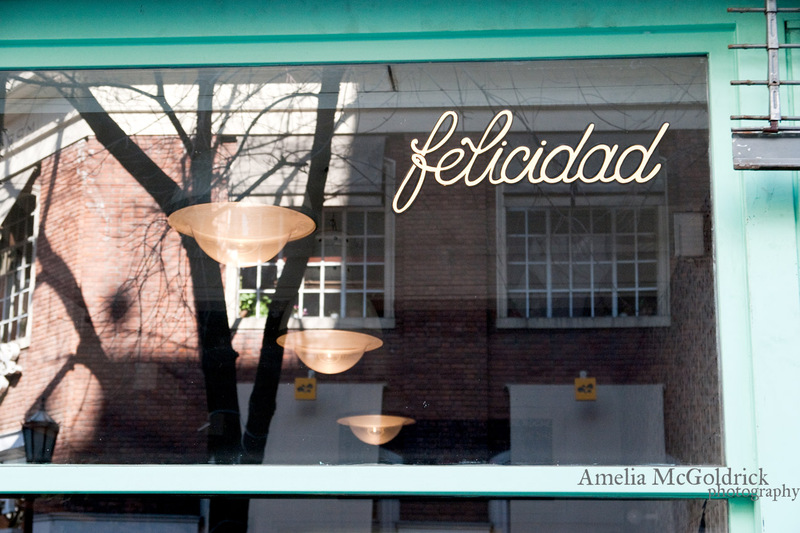 Felicidad is Spanish for Happiness. Joy. Cheer. Satisfaction. 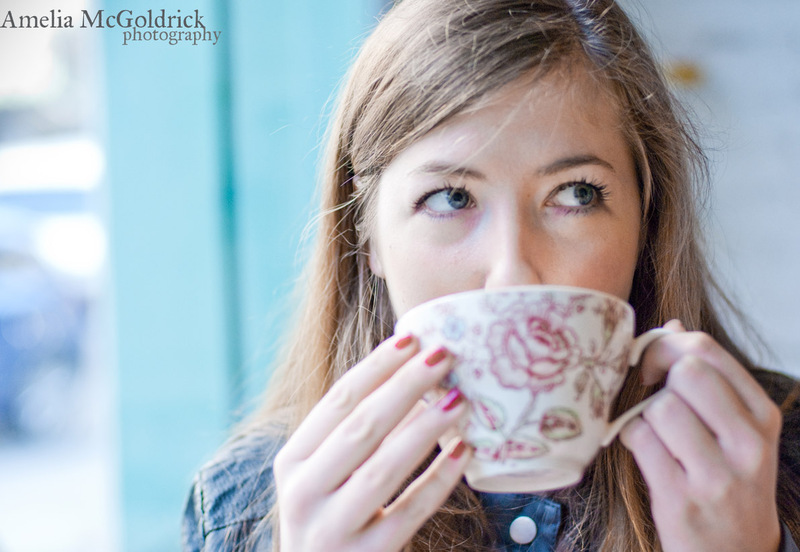 I met up with Amelia McGoldrick of Day Clicker Photo Tours last Friday to share a cup of tea at Felicidad in Las Cañitas. Amelia had recommended the place and when I saw the converted house painted light sea green, I knew there was no way I’d be disappointed. We sat at a table in the front so to enjoy the early spring sunshine pouring through the large window. Felicidad’s decor is true to it’s own style – with mix-matched floral details and hounds-tooth paper place-mats in retro shades of mandarin and teal. Freshly budding flowers and a pot of growing wheat grass provided our very own miniature garden right at the table. Felicidad really did make us happy when we saw they had authentic Oregon Chai on the menu. I’m not sure how they managed to sneak that over the border but it was such a treat! 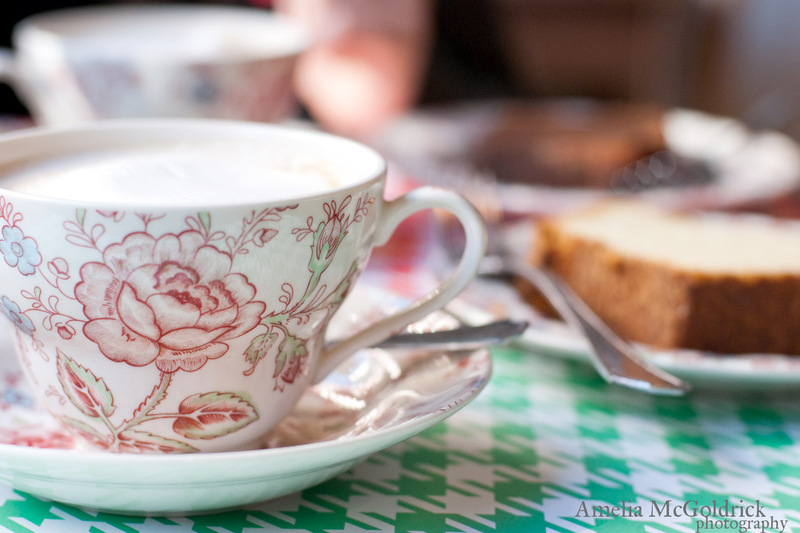 Oregon Chai is so spicy and sweet and delicious with steamed foamy milk. What a great reminder of forgotten joys from the Pacific Northwest. 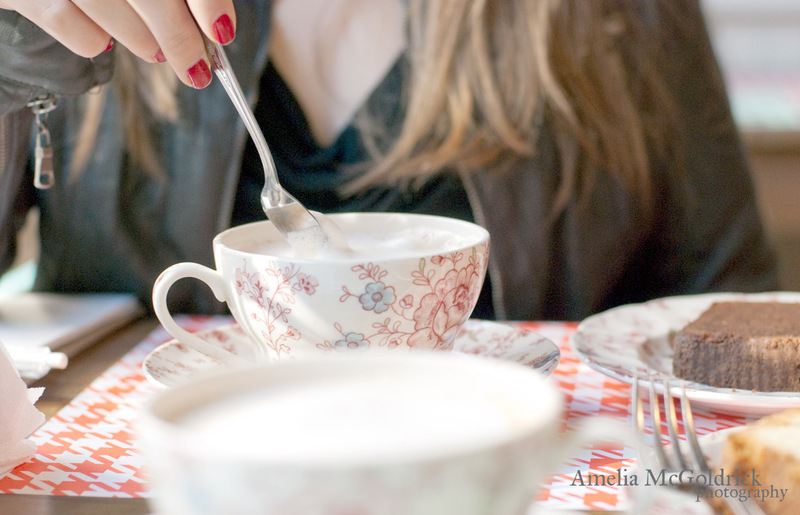 And since flavor can only be enhanced by aesthetics, the delicate floral pattern on the teacups was the perfect touch. 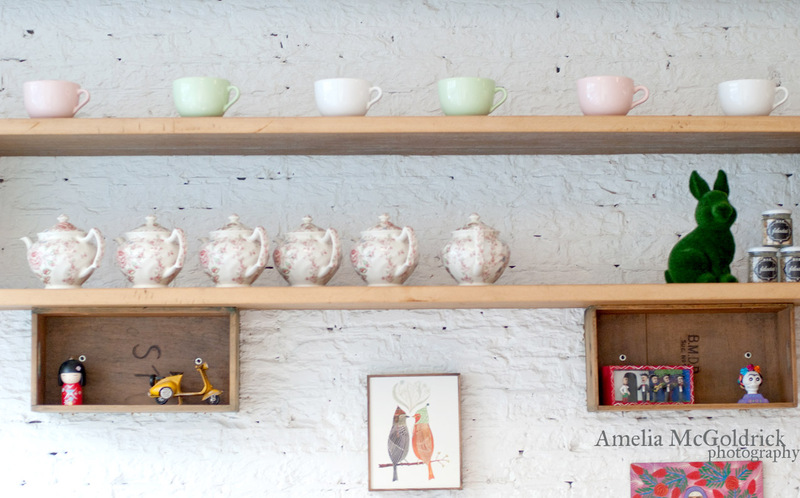 ….such sweet pleasures of an early spring morning in Buenos Aires spent at Felicidad. We left Felicidad smiling and feeling feliz. 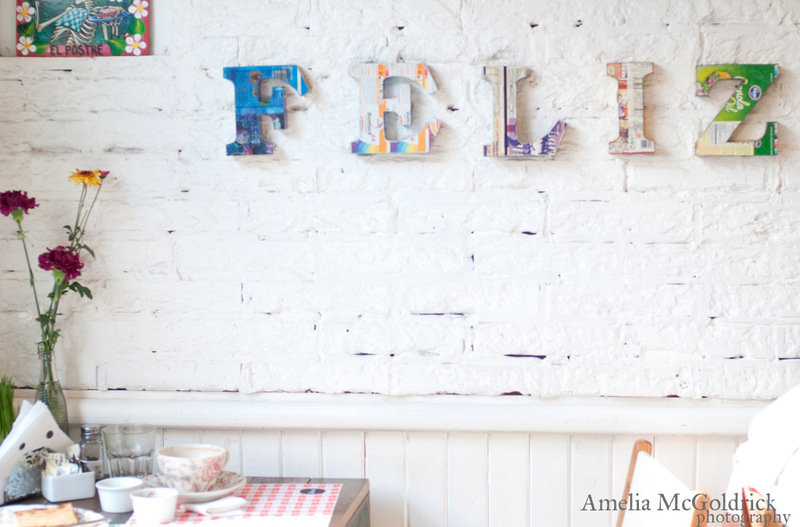 If you take your coffee with a dash of shabby chic, Felicidad is the perfect place to get your fix. can’t wait to drink some hot bev w you in the city that does it right! 80 days! Thanks so much for posting and for your lovely comments! Cay! Thanks so much! Great to hear from you! I’m so glad the empanadas turned out well! I’ll be back in town the second week in December, I hope we can catch up! Its been too long and I miss you!